Images formed using primary colors on semi circles of a given circumference is similar to the natural rainbow colors seen above the sky. Occasionally the ends of some of these rainbows can be seen on the surface of the earth depending on the weather and period of the year. Mostly, rainbow occurs at the beginning or after a rain storm, when the stratosphere layer is covered with nimbus clouds, before or after a severe storm is roaring in. These colors are profound and create distinct differences amongst themselves. These colors ranges from red which is less deviated and refracted from its transmitting angle through the clouds to violet color which is the most deviated and refracted from its transmitting angle. Have you seen a rainbow lately? Here is an image of a rainbow that occurred after a thunder storm and drizzling rain falling, lasting for 30 minutes. These rainfalls are frequent during winter and spring on the southern hemisphere. They are usually caused by conventional rainfalls due to collision and cohesion impact of compressed (humidified) air from the stratosphere layer to expanded air present in the troposphere lower layer filled with mild temperature, producing raindrops causing rainbows to form. The brightness of sunlight is produce by a mixture of less refracting colors due to the atmospheric layer where it’s formed. During the raising and settling of the sunlight, the transmitted angles of these colors diminish, causing a less brighter sunlight. When light passes through a glass prism, it deviate and refract into a continuous flow of light producing a spectrum of colors. Light leaving the prism spreads out into a continuous band of colors called a spectrum. Colors go from red, which is refracted the least, through orange, yellow, green, and blue all the way to violet, which is refracted the most. A rainbow is simply a group of circular or nearly circular arcs of color that appear as a huge arch in the heavens. The raindrops act like miniature prisms, refracting or breaking sunlight into various colors as well as reflecting it to produce the spectrum. Rainbows are frequently seen in the wake of a rainstorm. They come when the sunlight breaks through rain clouds. You can create an artificial rainbow by using a garden hose. Simply stand backing the sun and adjust the hose to a fine sprays. Position the spray head to a slant of 45°. Rainbows can now be seen at the landings of waterdrops on an open lawn. During foggy periods by waterfalls, rainbows can now be seen within or infront of the sprays of a waterfall. A single, or primary, rainbow has red on the outside or top of the bow and voilet on the inside. Usually the radius of the arc is equal to about one-fourth of the visible sky, or 42 degrees, to the red. When there are showers nearby, simply look in the part of the sky opposite the sun at a 42-degree angle from your shadow; if there is a rainbow, that is where it should be. The primary bow is due to light that enters the upper part of the drops and leaves after one internal reflection, so this bow is always brighter than the secondary bow where sunlight is reflected twice within raindrops. Sometimes a secondary bow forms outside the primary. It will be fainter, with the colors reversed: red on the inside, violet on the outside. The secondary rainbow forms at a 51-degree angle from your shadow; it’s always fainter and usually disappears more quickly than the primary. The region between the two bows appears relatively dark, for it lacks entirely both the once- and the twice-reflected rays. There is even evidence for a third or tertiary rainbow that has been seen on rare occasions, and a few observers have even reported seeing quadruple rainbows in which a dim outermost arc had a rippling and pulsating appearance. We can’t, with absolute certainty say exactly who was the first person to provide the correct explanation of what causes rainbows, although credit is usually given to Frenchman René Descartes (1596-1650), a philosopher and writer who penned a formal and systematic discussion on the subject in an appendix to his famous work, “A Discourse On Method,” in 1637. Descartes supposedly made an accurate calculation concerning the paths that light rays took at different points through a glass globe of water (simulating a raindrop) thereby determining their angles of refraction; it was the solution to a mathematical problem that had eluded scientists for two millennia and was the key to explaining the phenomenon of the rainbow. But notice that I said that Descartes “supposedly” made that calculation. 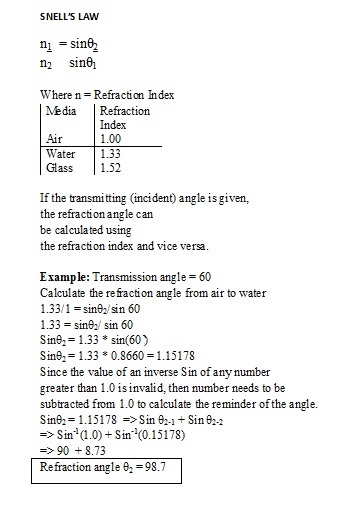 As it turned out, Willebrord Snell, a Dutch astronomer and mathematician, had discovered the mathematical law of refraction 16 years prior to Descartes’ dissertation on the subject. Snell, however, failed to publish his findings and died in 1626. Then, about 80 years later, after Snell’s notes were discovered, controversy arose when some accused Descartes of having somehow seen Snell’s manuscript and taken his findings for his own. The end result was that in the West, especially in the English-speaking countries, the law of the refraction of light became known as Snell’s Law, while in France it is referred to as Descartes’ Law. So, while Descartes may have explained what a rainbow is, he really couldn’t have done it without those calculations for the refraction of light. But whether he or Snell can be fully credited for that part of the explanation, we may never know. In the morning the sun is in the east; to see a rainbow you must be facing toward the west where it’s raining. Since showery weather usually comes from the west, take warning from the morning rainbow. At night (well, actually more like late afternoon, but “afternoon” doesn’t rhyme with “delight”) the sun is in the western sky; after a shower or thunderstorm has already passed you by, it usually is retreating toward the east, where you’ll see your rainbow. And because showers are more frequent in the late afternoon than in the early morning, late-afternoon rainbow sightings are far more frequent than in the morning and it’s for this reason that the appearance of a rainbow is usually associated with the onset of improved weather. The only possibility of sighting a rainbow at this time would be from an airplane or from the summit of a tall mountain. An airplane would provide the best opportunity for catching sight of a full 360-degree rainbow projected against the ground, but that’s a sight that only a few have been privileged to see. Another added to colored red, or red and green may appear with primary and secondary bows. Occasionally, several bands of color can be seen just within the primary rainbow. These extra bands are known as supernumerary rainbows, and they were explained in 1803 by the British scientist Thomas Young when he realized that light consisted of waves. They are due to the diffraction (deflection) of light. As we have seen, most rainbows are caused by sunlight and are seen in the day, but occasionally we can be rewarded by a glimpse of a moonbow caused by a full or nearly-full moon. Moonbows are most frequently sighted around tropical islands, such as in the Caribbean, where localized showers can persist well into the night. Most people report them to be white, but Robert Greenler who is well known for his popular lectures on optical phenomena suspects that this is a physiological factor. At low levels of illumination, he points out, the eye loses its color sensitivity, so that a standard multihued bow appears white. And indeed, photos of moonbows do show colors, but to the photographer it appeared to be white. Finally, consider this little (gold?) nugget: No two persons, though they may be standing side-by-side, ever see the same rainbow. Why? Well, because the raindrops are constantly in motion so its appearance is always changing and the bow is an arc of a circle whose center is on the line stretching from the sun to the eye of the observer. As the eyes of two people cannot occupy the same place in space at the same time, each observer sees a different rainbow. So remember: Each time you see a rainbow, it’s unique in its own spectacular way!